When the Fire Burns, Remove Your Sandals! 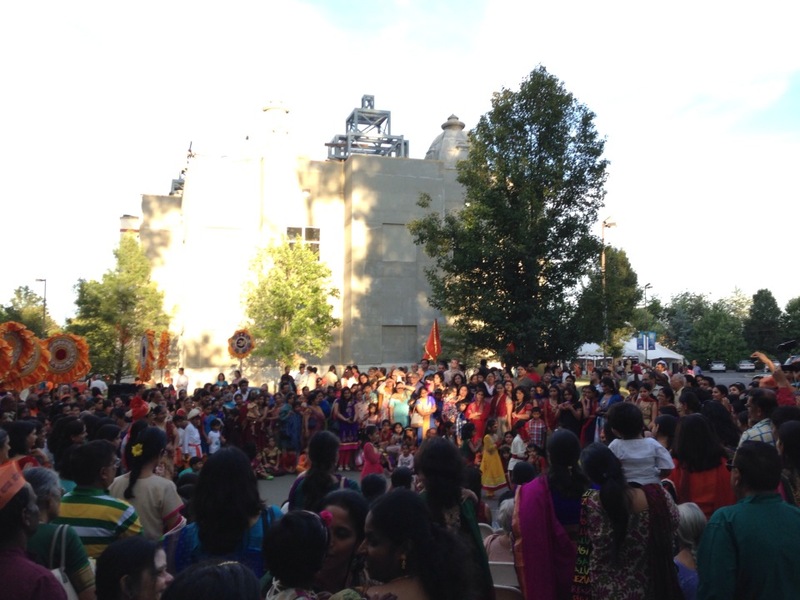 Friday marked the beginning of the Ganesha Festival for Hindus around the world. Ganesh Chaturthi festival honors Lord Ganesh[a], the form or deity that represents intellect and wisdom. The son of goddess Parvati, Ganesh is identified by his elephant head. 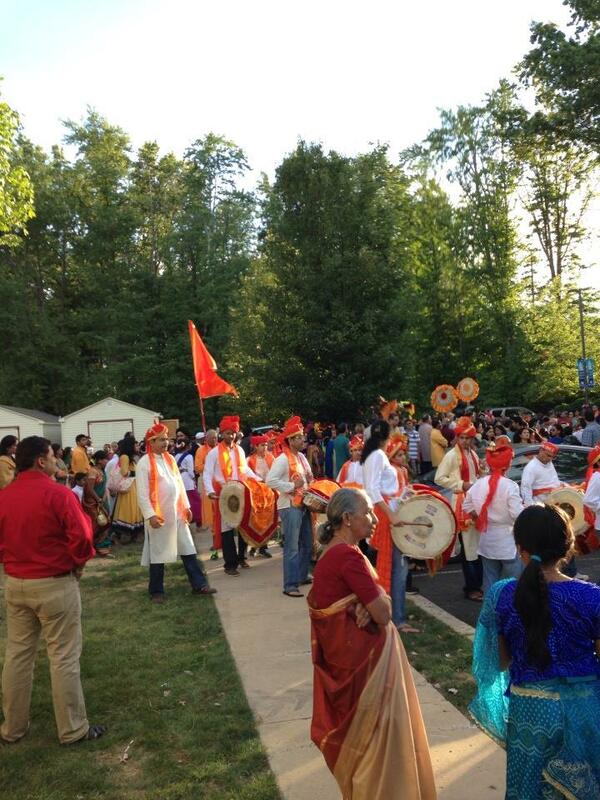 The festival is 10 days of music, drums, prayers, dancing, and food. 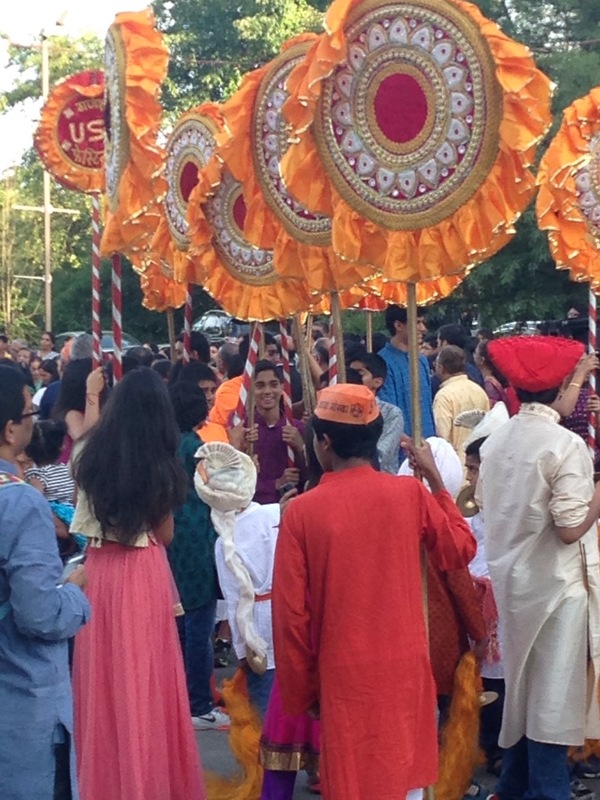 We are fortunate enough to live 5 minutes from Bharatiya Temple and Cultural Center in Chalfont, PA where one of the biggest Ganesha festivals in the U.S. takes place. We had a wonderful experience and felt very welcomed. One of the dynamics of Hindu spiritual practice involves removing one’s shoes before entering a temple. Why remove your shoes? A few reasons. One is sanitary: taking off one’s shoes helps to limit the amount of dust and dirt that accumulates in the carpet strands or on tiled floors. Important for people with dust allergies [like me], but also important for everybody; it keeps things cleaner. Second reason: there is a different “feel” when you take off your shoes upon entering someone’s home, temple, or any particular space. It is more comfortable; your feet are free to breathe and move about. There is, at least for me, some sacredness that we claim when we remove our shoes. Whatever we accumulated on the outside, we are leaving it there; we are entering a new space, and it’s different. There just might be a chance for renewal; we just might find something we were looking for. And, when everyone takes off their shoes, it’s a great equalizer. Whatever cool or fancy shoes you were wearing are gone. Showing feet is being vulnerable. Perhaps this resonates with you; perhaps it does not. There must be something to it, though, because countless cultures around the world remove their shoes. And as in Bharatiya Hindu temple, people all over the world remove their shoes before entering their sacred space of meditation, prayer, or worship. Some see this as a sign of respect or veneration for the spiritual act. Some see it as merely ritual. Many do it in their homes as well, because the go less to a temple and consider their home to be a place of prayer and worship. So the home is a temple. And they take their shoes off before entering it. In Middle-Eastern culture, the removing of shoes was and is also important. People of the ancient world in Israel and Palestine would take it a step further and even wash their feet upon entering a home. But what happens if you’re still outside and you need to remove your shoes? That’s what happened to Moses. He was doing the shepherd thing, minding his own business in the shadow of Mount Horeb, when…FLASH! A flame of fire burst out of a nearby bush! The fire blazed, but the bush didn’t burn up. Moses turned his head in fear, because, well, it was FREAKY. And then the bush talks to him. Moses! Don’t come any closer. Remove your sandals. You are standing on holy ground. Most likely, Moses did as we was told and took off his sandals. He stood on the ground. The earth. He felt the good soil between his toes and under his feet. He was grounded in nature. He was standing barefoot on the ground, watching the fireworks show happening in a random bush in the shadow of Mount Horeb. What about the sheep? Did they freak out and baaaahhhh their way out of this situation? Seriously, what about the sheep? We’re left in suspense about the poor sheep, but as for Moses, he’s invited to Yahweh’s house, and the shoes had to come off! Moses was vulnerable. He could not cover up or hide. He was exposed. And yet somehow that bush did not burn up completely. Maybe this fire would not lead to his demise after all? Maybe he should not be afraid of it? Moses is more frightened by the voice than the fire. He turns away. But the voice isn’t finished. The voice couldn’t be all that bad if it had so much empathy, right? But then the voice asked Moses to do something. And it was more than just removing his sandals. Not enough for Moses, apparently. He was worried about what people would think. They will have questions and doubts; they’ll want details. So what should I tell them? What’s your name, oh voice from the burning bush? I AM is short for, well—I AM. It’s enough. What a story, right friends? It’s a metaphor. Understand that. It’s the only way to learn something from it and be inspired by it. The story is about vulnerability, a fire that should burn in all of us, and the leaving behind of the past in order to live in the present. Moses’ symbolic action of removing his sandals signifies an end to one journey and the beginning of another. Moses has to let go of his attachments. He has to let go of fear, of misconceptions about God; he has to let go of the identity he gave himself [or others gave to him]. He stands on the solid, beautiful soil of earth and is grounded in his true humanity. He doesn’t need to put up a false front; there is no pretense or appearance here. But the bush burns with fire. It is anger and sadness, an empathetic response to the awful things we do to each other and to creation. We harm, we compete, we steal land and food, we push down, destroy, and isolate. Injustice is everywhere. People suffer. This should burn in all of us. If the fire doesn’t burn, we are ignoring it. We are suppressing the flames. We are turning away from the truth. Because like Moses, we are sometimes afraid to face injustice. We are sometimes unwilling to admit that things are out of balance; we are scared to confront the imbalance and injustice inside ourselves. So you must remove your shoes. You must look in the mirror and ask how you treat other people and the good earth. We must ask. Are we destroyers? Are we oppressors? Are we harming and hurting? Are we ignoring? And without our shoes, the sacred earth claims us. We feel the soil beneath us and in between our toes. Friends, don’t ignore the fire burning in the world and all around you. Don’t ignore the suffering; don’t hide from uncomfortable things. Leave behind the heaviness of the past. Get ready to walk forward.